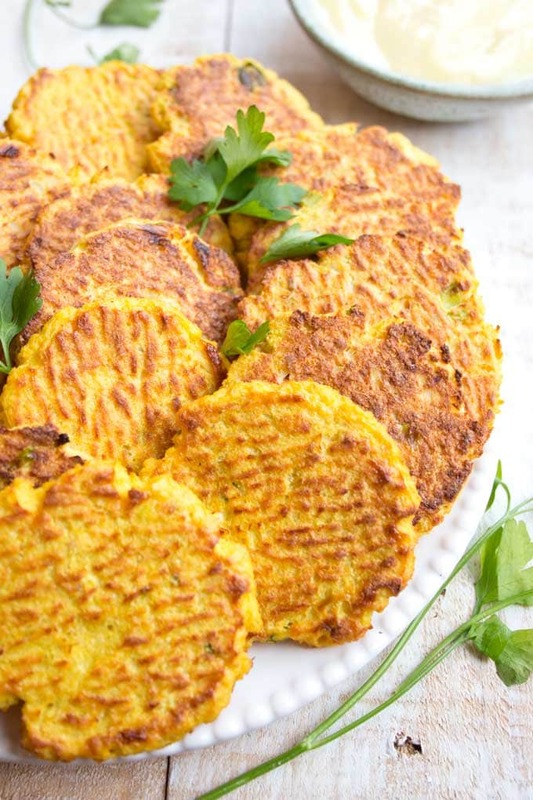 We absolutely love these cauliflower hash browns! 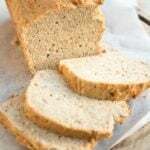 I made a HUGE batch – the benefits of extensive recipe testing – and over the last couple of days we’ve had them with fried eggs for breakfast, with homemade mayonnaise as an afternoon snack and as a side dish for dinner the next evening. Honestly, I could not tell you which time of day they work best. Cauliflower fritters turn out to be the perfect all-day food. Potatoes and other white carbs such as rice are off the menu when you’re on a low carb diet. And cauliflower makes a brilliant stand-in. It is such a versatile vegetable! I often make cauliflower mash (with some cheese and sometimes celeriac root) or a simple cauliflower rice (microwaved 5 minutes) as a side to main courses. Roasted cauliflower steaks and cauliflower soup (with truffle oil – mmmmh) are lunch staples in this house. And if you want to push the boat out, you must try this amazing loaded cauliflower casserole by Low Carb Maven. People sometimes complain about cauliflower tasting of old sock (I can hear the collective gasp of all cauliflower fans!). The truth is, like all vegetables cauliflower is best used as FRESH as possible. Make sure it’s firm, white and try to buy cauliflower heads with their leaves on. 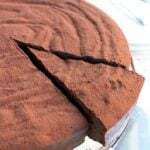 Once it’s lurked in the bottom drawer of your fridge for two weeks and the florets are turning brown on top, it’s not going to taste its best. 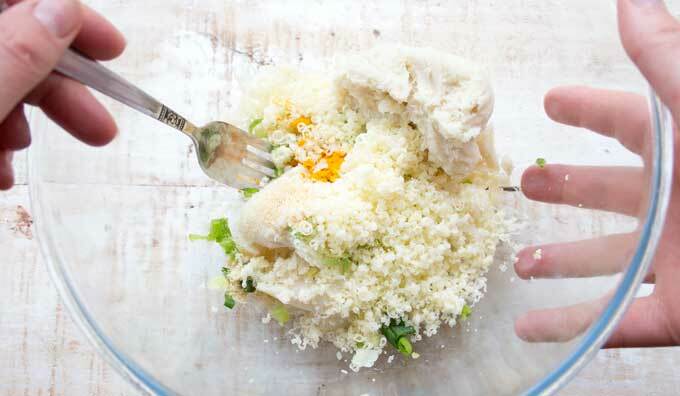 Fresh cauliflower tastes quite neutral – that’s why it’s such a food chameleon! 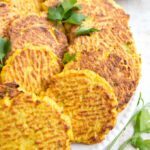 The reason for the vibrant yellow colour of these cauliflower hash browns is turmeric, which elevates the recipe from delicious to amazing. Turmeric is an absolute superfood. It is closely related to ginger and is thought to have anti-inflammatory and antioxidant properties. 1.) 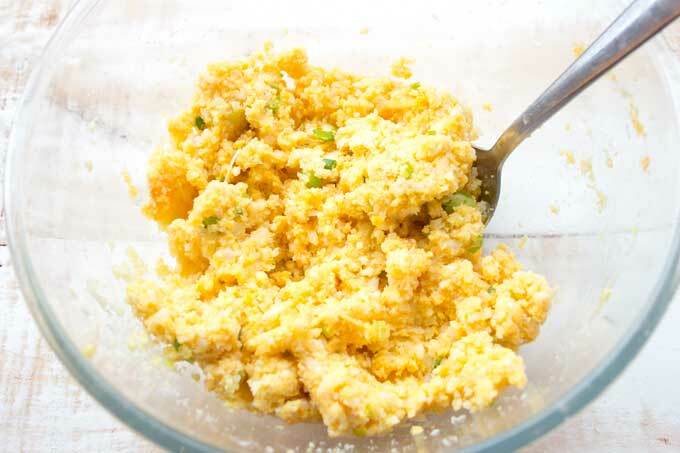 If you have a food processor, break the cauliflower into florets and process until you have fine crumbs. You will probably need to do this in 2-3 rounds. Otherwise, grate the cauliflower with a box grater. Now you want to get all that liquid out of the cauliflower so you don’t end up with soggy hash browns. Option 1: Microwave the cauliflower rice for 2 minutes. 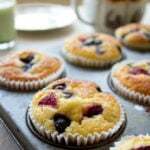 Spread the crumbs out on a tea towel and to let it cool for a minute (easier and quicker option). Option 2: Sprinkle the raw cauliflower crumbs with salt and let it sit for at least 20 minutes. This helps to draw out the liquid. 2.) Now you gather up the dish cloth and SQUEEZE as much liquid out of the cauliflower as possible. Squeeze from all angles, and when you think you’re finished, squeeze some more. If you have chosen option 1 above, this is really easy (I find that raw cauliflower is much more reluctant to part with its liquid). I managed to collect 200 ml of liquid in my bowl. You should aim for at least 1/2 cup. 3.) See the firm white blob at the top? That’s how your cauliflower will look after you’ve drained it of liquid. 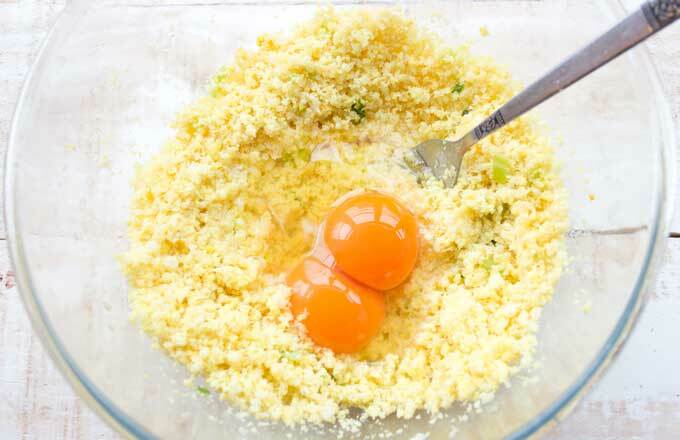 Now you add all ingredients except the eggs and combine them with a fork. 5.) …and your dough will look like this – sticky, but not wet. 7.) 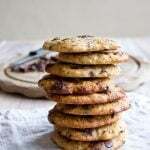 … and press down onto a flat cookie tray which you have lined with parchment paper. Top Tip: If you don’t have a flat tray, simply turn a regular baking tray upside down and use its underside. This way, no moisture can collect on the sides and you’ll end up with crispier cauliflower hash browns. 8.) Remove from the oven once the edges of the fritters and the underside are browned. This should take around 20 minutes. And this is how your cauliflower fritters look like when they’re done! Crispy on the outside and soft on the inside. Yum. I like to make my cauliflower hash browns in the oven because this way I can prepare a larger batch and there’s less cleaning up at the end. If you prefer, you can also pan-fry them in some butter or oil. Make sure you do this over a medium heat so they don’t burn. 4-5 minutes on either side should do the trick. 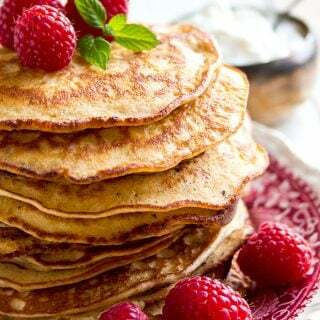 This fritter recipe uses coconut flour – my current favourite low carb flour. 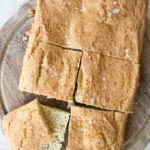 You can sub with almond flour if you wish. In this case, double the amount stated for coconut flour. Feel like experimenting with more spices? Cumin would work well in this recipe. Lovers of heat could add some cayenne pepper. Don’t have cheddar? 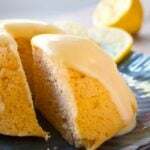 You can substitute with parmesan or pecorino cheese. If you chose the latter, you can probably leave out the salt – pecorino is rather salty on its own. 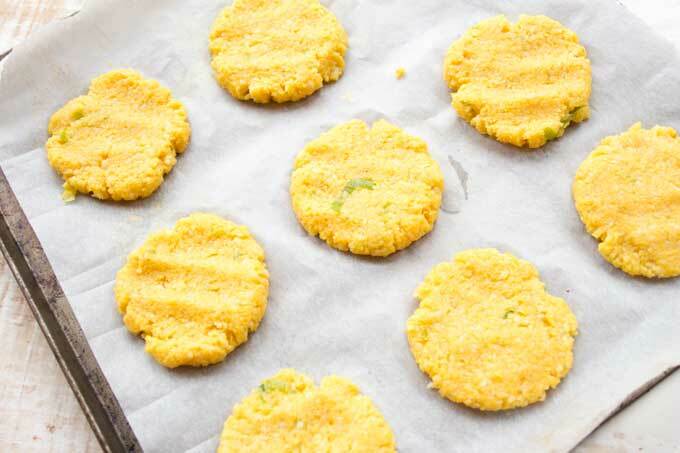 You can store Keto cauliflower fritters in the fridge for a few days and you can also freeze them. To get them crispy again, simply pop them in the oven for a few minutes. 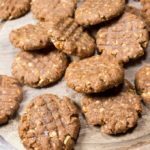 A low carb allrounder! 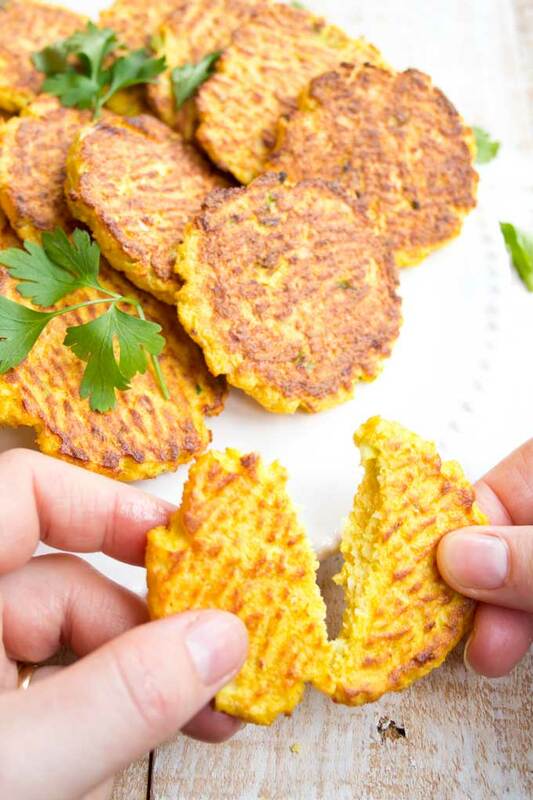 These cauliflower hash browns are deliciously spiced with turmeric. Crispy on the outside, soft in the centre. Preheat the oven to 200 Celsius / 400 Fahrenheit. 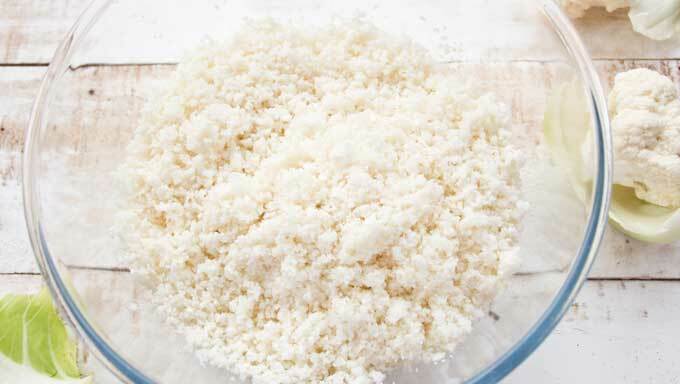 If you have a food processor, break the cauliflower into florets and process until it resembles rice. You might need 2-3 rounds for this. Alternatively, use a box grater. Microwave the cauliflower for 2 minutes. 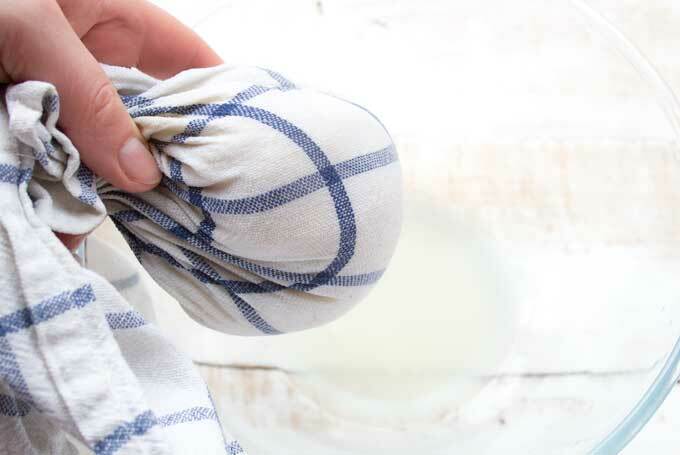 Spread onto a clean tea towel, let it cool down a bit. 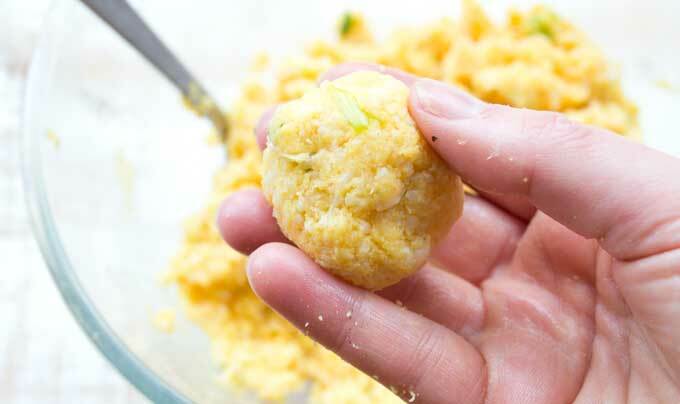 Then pull the tea towel together and form a cauliflower ball (see image in text). Squeeze as much moisture as possible out of the cauliflower. You should end up with AT LEAST 1/2 cup of liquid. I ended up with 200 ml - over 3/4 cup! Place the riced cauliflower back into the bowl, add the rest of the ingredients and mix. Form dough balls with your hands and place on a flat or an upturned regular baking tray which you have lined with parchment paper. This way, no moisture gets trapped on the sides and the cauliflower fritters get crispier. 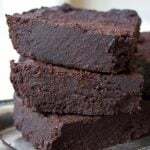 Bake for 18-20 minutes until the underside and the edges are lightly browned. You can also fry these cauliflower hash browns in a non-stick pan over medium heat. Use either oil or butter. This takes 4-5 minutes per side. 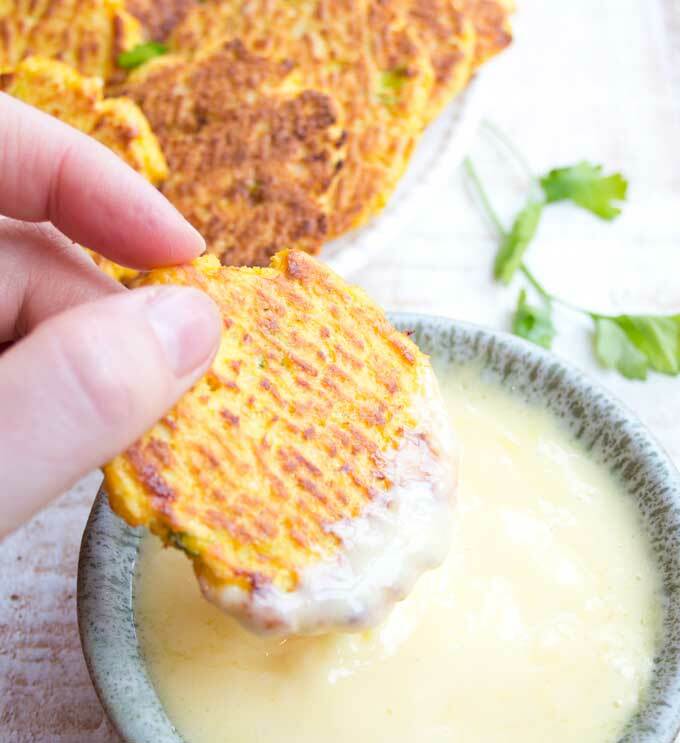 Serve with a simple homemade mayonnaise or another dipping sauce of your choice. 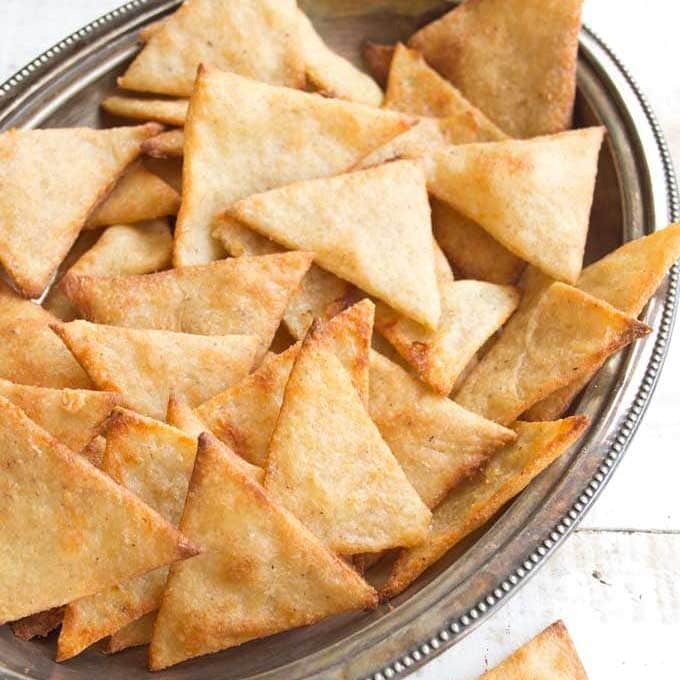 Have you tried making these with broccoli? I’m allergic to cauliflower. I haven’t, but it would definitely work. versatile. I had a few girlfriends around and we all enjoyed them with some home made mayonnaise. 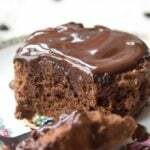 Hi Katrin and thank you for another great recipe. 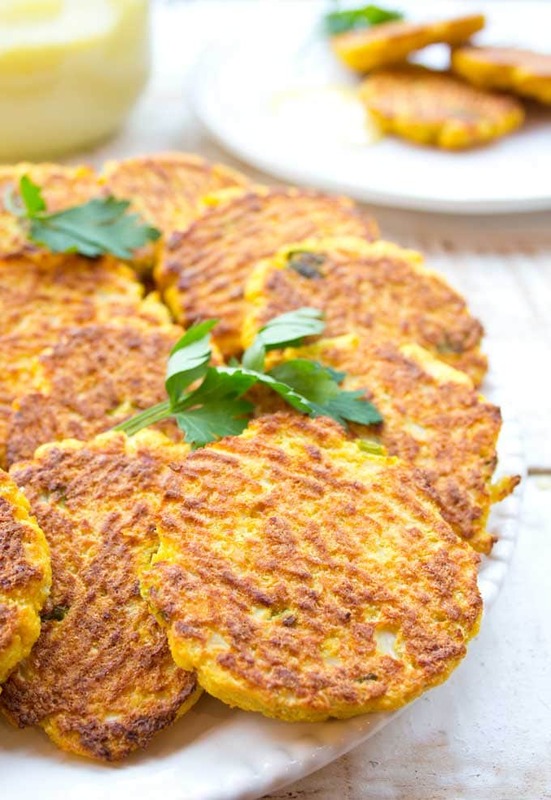 I made these cauliflower fritters yesterday – super yum. Obviously, this tip requires peeping well beforehand. Hi Christine, I’m so happy you liked the fritters. What a genius idea with letting the cauliflower dry out naturally!! 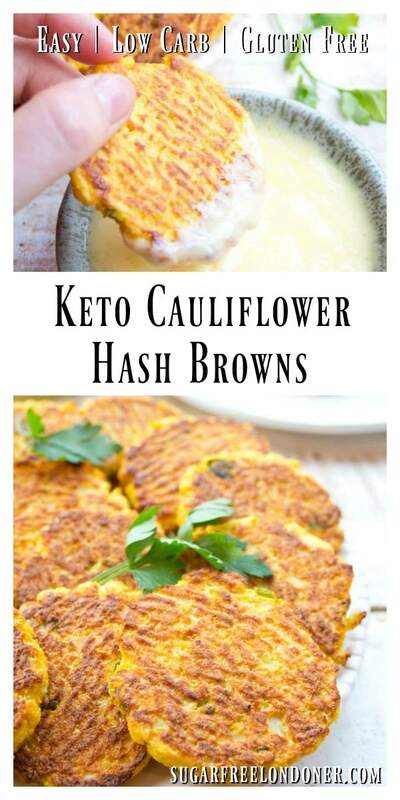 Is the net carbs per hash brown? How much is a serving? Yes, I calculated the nutrition per hash brown. I’d say 3 is a good portion – for breakfast, together with a fried egg, for example.